This website uses PDF files. If you are having problems viewing these file, refer to this help page. http://www.4sarc.org/?page_id=2477. The club’s SkyCam is now streaming live! 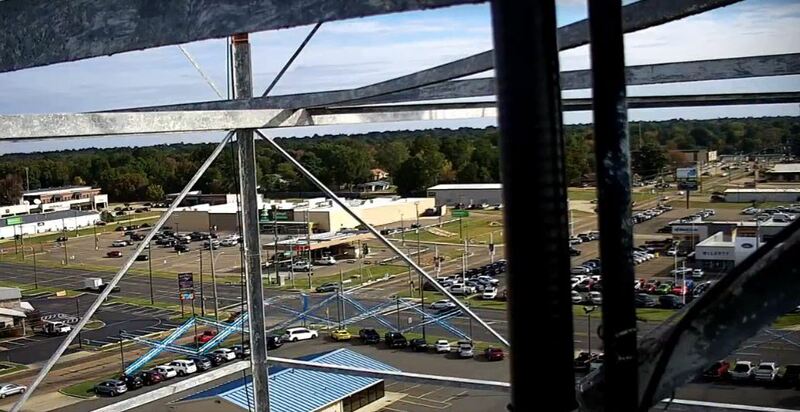 The camera is located at 90 feet AGL on the tower. 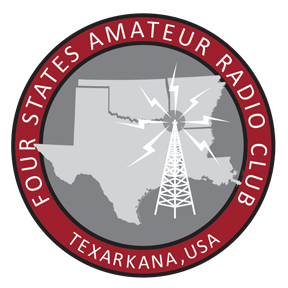 The Four States Amateur Radio Club, 501(c)3 organization, was established in 1977 in the twin cities of Texarkana, Texas and Arkansas. Our club is organized to promote good will and fellowship among the members, and to render a public service during impending severe weather, disaster relief operations, and other community functions. Our repeaters are open to all licensed amateur radio operators, and they are encouraged to engage in our QSOs. Our club is made up of all types of individuals, young and old, from varying backgrounds, engaging in a variety of operating modes, and we welcome everyone’s participation. Please use our web site as a tool to get to know us, and to explore the fun amateur radio can be. We look forward to hearing you on the air! For more information about joining the club, contact any of the officers below. You may email us at exam@4sarc.org. There is more information at our website http://www.4sarc.org.